Baobab fruit’s delectable pulp is found in the fruit of Africa’s famous Tree of Life. A media favourite because of its unique properties, baobab extract is one of the most nutrient-rich foods in the world. 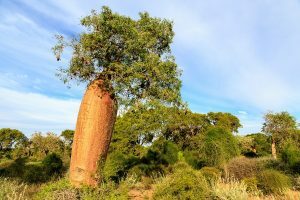 Growing across the African continent, this infamous tree is not native to a specific country and amazingly it can live for up to 5,000 years. This prehistoric tree is an incredibly fertile natural wonder and is seen as a symbol of vitality and life throughout communities in the whole of Africa. 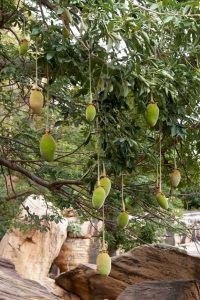 Quite conversely to other fruits that you may have encountered, the baobab fruit dries out quite naturally, hanging happily from its own branch. Once dried to the correct amount, local farmers will harvest the prized fruit for its coveted pulp. With only minimal processing, the nutritious qualities of the African Tree of Life’s biggest bounty remain intact. The Tree of Life: A Baobab tree with its ripening fruit and green leaves basking in the summer sun in an African landscape. Baobab fruit is made up of 25% soluble fibre, it is also rich phytonutrient rich in polyphenols. Soluble fibre and polyphenols are known to reduce the human glycaemic response, which is the rate at which sugar is absorbed into the body. In addition to supporting the control of vital blood glucose levels, a typical baobab fruit contains a massive 50% total fibre. Amongst other benefits, soluble fibre helps maintain blood cholesterol levels and supports heart health. Additional benefits of baobab fruit are no less surprising, it is also purportedly used in Africa and now globally as an appetite suppressant. The fibrous particles are thought to swell in your stomach, giving a feeling of fullness. Digestion is also said to be improved, owing to the aid of the increased fibre. A source of vitamin C, baobab contains more Vitamin C than 6 regular oranges. The average fill weight of a size zero capsule is 500mg of baobab pulp. There are options for increasingly larger capsules, to maximise the dose, but this sales benefit is often offset by the customers’ lack of desire to swallow a larger capsule. 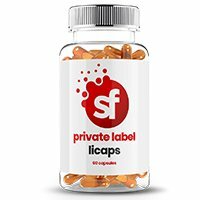 Capsules can be manufactured in a range of colours and source ingredients. Gelatin is the cheapest option and HPMC (vegetarian-friendly) is becoming the most popular to keep this a vegetarian product. The fibre is not something that compresses excessively and therefore fills weights of capsules are ideally kept to a conservative level. Baobab fruits drying out slowly in the sun as they hang from their host tree. The media has taken an interest in baobab recently. At the time of writing this page, Kate Quilton from Channel 4 in the UK, has been preaching the benefits on her program Superfoods: The Real Story. As people become more and more interested in their own personal nutrition, it has become apparent that the modern population isn’t that keen to leave their bodies unchecked until pharmaceutical intervention is required. 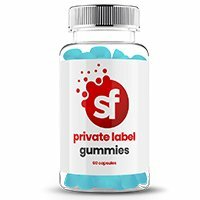 Nowadays, people of all ages are looking to supplement their healthy diets with a diverse range of nutritionally beneficial herbs, nutraceuticals and functional foods. Convinced that you need this African superfood as a participant in your brand line up? Contact us for a competitive quote now. Due to a significant increase in volume, discounts are currently available on this ingredient.